As the technology revolution took the world by the storm, it also affected the corporate ecosystem and reshaped the business environment. Although the new breed of entrepreneurs already acknowledges and comfortably embrace the need to develop technology-driven business systems, conventional entrepreneurs still find it difficult to digest the changing dynamics of the business world. Over the years, more entrepreneurs understood the need to move forward and integrate technology into the existing business systems. One of the key areas where businesses require technological assistance is the development of tailor-made business software. Initially, when firms began to move from paper docs to paperless files, the work was transferred mainly to MS Office and other off-the0rack generic ERP solutions. Later, as technology became advanced and businesses grew more complex, they realized the need of getting customized software developed that are specifically designed to suit their business needs. The next debatable question for many business owners is whether to get software developed in-house or to outsource it? While the newer breed of entrepreneurs understands the world outsourcing, older entrepreneurs who are more used to have things in-house are still uncomfortable outsourcing business-related operations to a third party company such as Vironit. 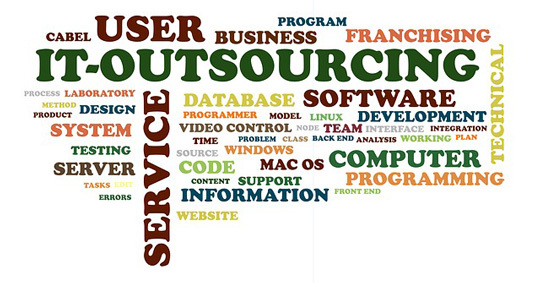 Here are a few reasons why you should outsource software development rather than getting it done in-house. One of the main reason why many entrepreneurs are tempted to get software developed in-house is that they believe they can do for cheaper that way. It becomes much more expensive to develop software on your own if you already do not have the required resources, expertise, and infrastructure in place. A professional software development company has dedicated systems in the area so they will not be investing in new infrastructure or resource for your project. They will only charge you for the services they provide. As a result, they will be in a better position to give you a better product at a lesser cost. When you are running a business, time is as important a resource as money. Even if you have a team in-house that can take care of software development, they are there because they were probably hired to look after other tech-driven areas of the business. Unless you invest in a new resource, you will be wasting your existing team on software development when they could look after something more important while you let a third party take care of your software needs. Even if you manage to invest in new IT professionals, they may or may not be able to give you the required result. What if the software they develop is not up to the mark or it is too complicated for them to handle? What if they fail to meet deadlines? You will still have to pay for them since they will be your employee and if you terminate them, you will have to replace them with a new resource. On the other hand, when you outsource the project, you can carefully select a tried and tested company with a proven track record. In the worst case scenario, if you still are not satisfied, you are not bound for a long-term commitment, and you can choose not to pay them for not giving the required result.